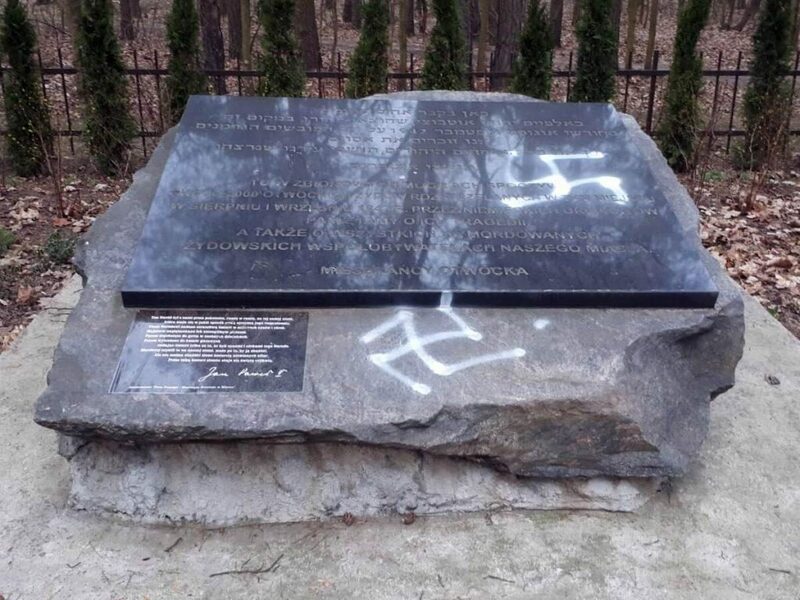 The desecrated monument in Otwock, Poland. The monument consists of a stone with a plaque in both Hebrew and Polish. It commemorates the 2,000 Jews, Hy”d, murdered in Otwock by the Germans in August and September of 1942.